For at least seven months out of the year, Summit County is covered with a blanket of snow. 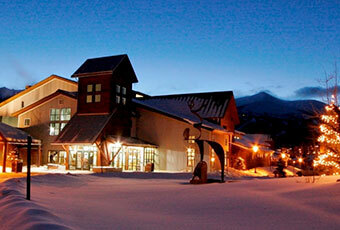 Four international destination resorts are within sort drive of Breckenridge. 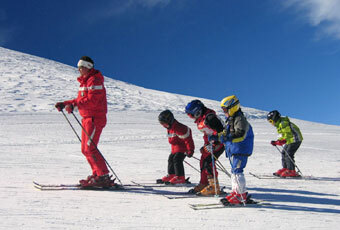 Along with the epic skiing, the area is home to a vast array of winter events and things to do. Cozy up by the fire, or spend the whole day out on the slopes - or both! 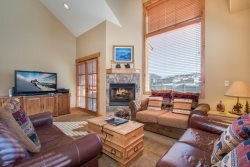 World class skiing is available just out the door of your vacation home. Within minutes, you can arrive at Arapahoe Basin, Keystone Resort, Copper Mountain, and Breckenridge Ski Resort. Cross Country skiing is a beautiful, scenic journey through the woods. You can rent skis at either the Frisco or Breckenridge Nordic Centers. If you are not a skier, there are plenty of other things to do around Summit County. Ice Skating is a blast for the whole family. The Stephen C. West Ice Arena in Breckenridge offers an indoor or outdoor rink. Keystone Resort offers a unique outdoor rink near Dercum Square for a warmer daytime skate, or night-lights to guide you in the dark. 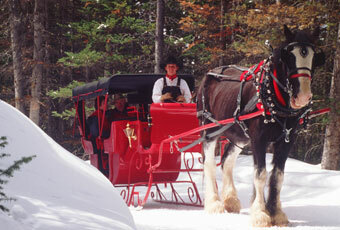 Frisco and Breckenridge are both homes to the most scenic sleigh rides in the state. Glide your way through Summit County’s amazing forest behind a team of mules, followed by a delicious hot dinner. Rides are certain to provide fun for all ages. The fastest way down the mountain is on a tube. Link tubes with your family to have even more laughs from top to bottom. 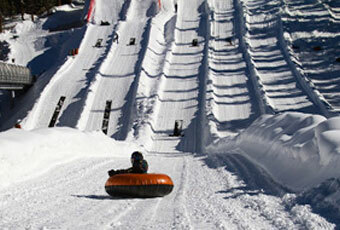 Keystone and Copper Mountain have the fastest tubing hills alongside the Frisco Fun Park. No need to worry about hiking back up as there are magic carpet rides to carry you back up the hill.